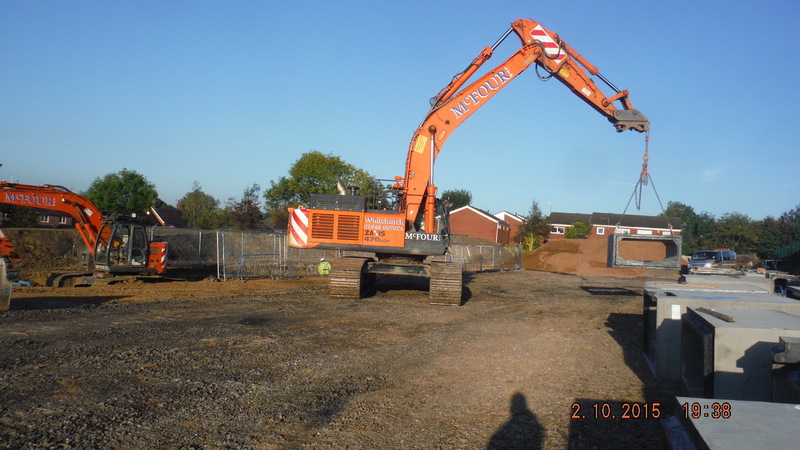 September – October 2015 – Value £75,000. 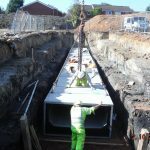 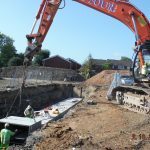 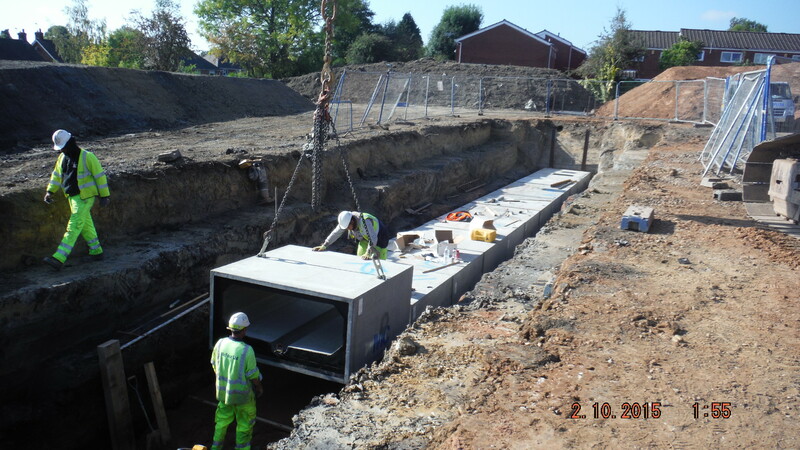 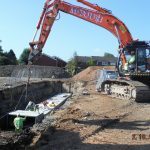 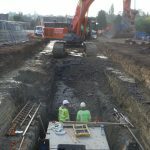 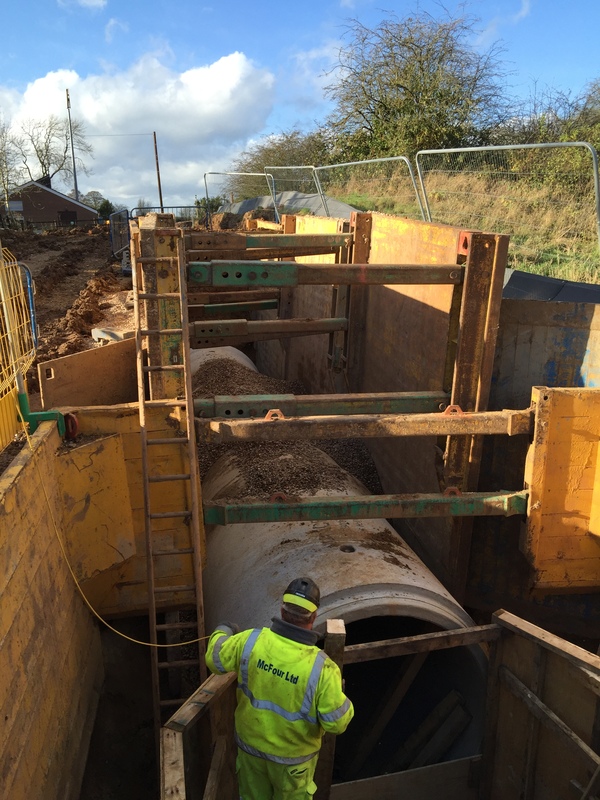 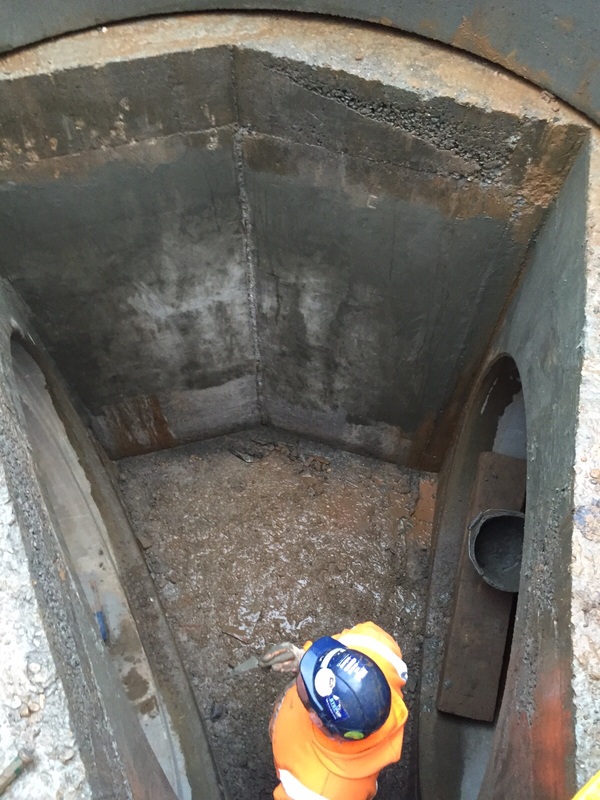 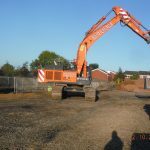 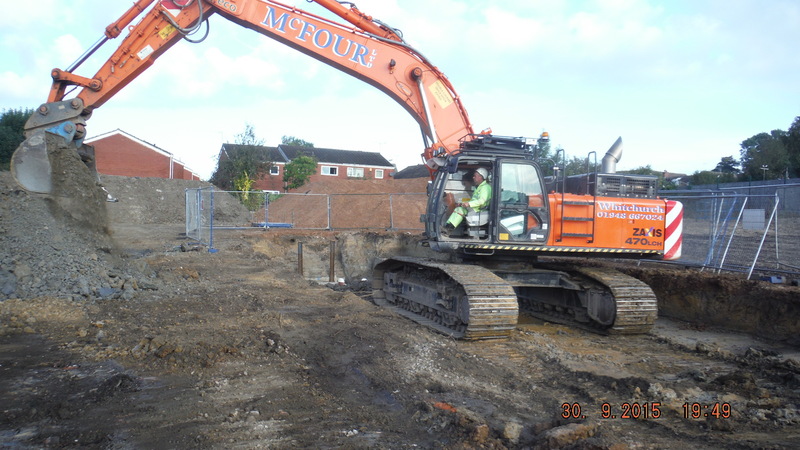 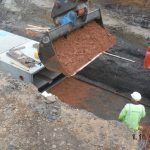 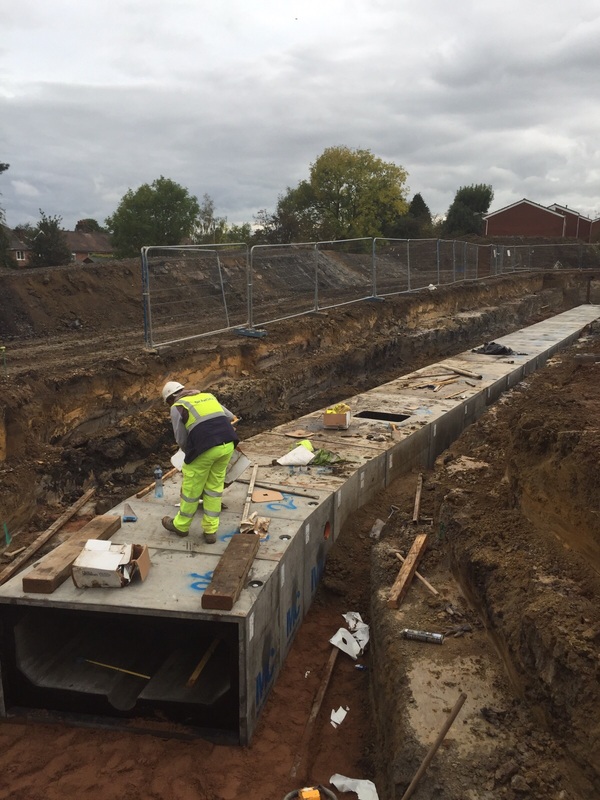 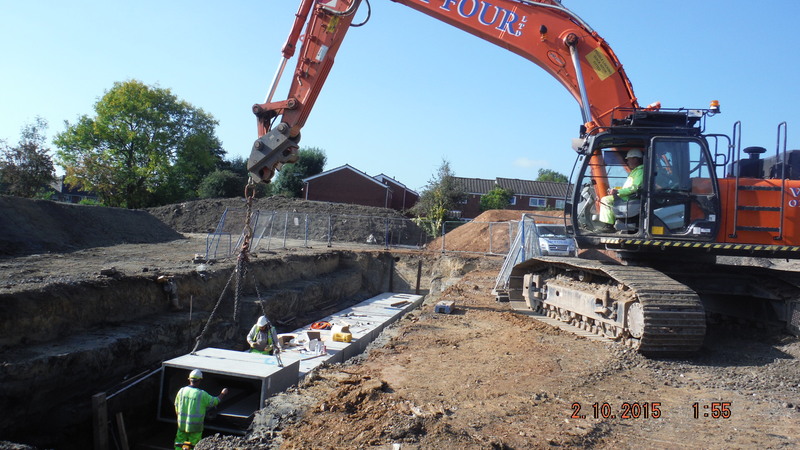 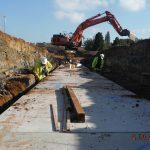 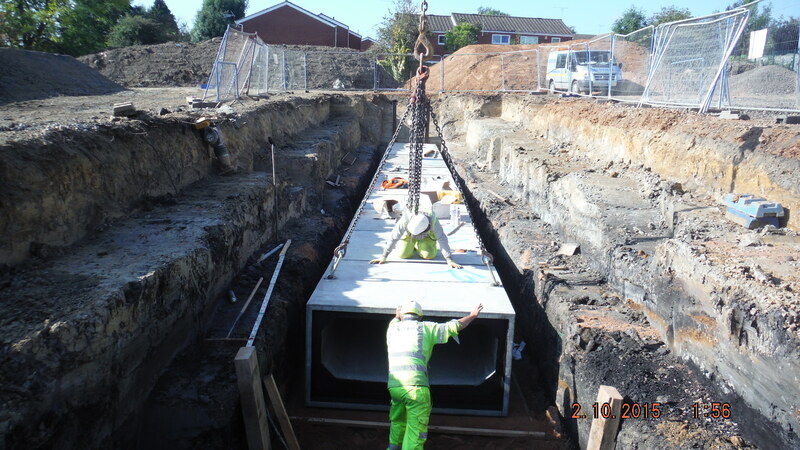 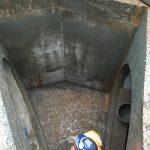 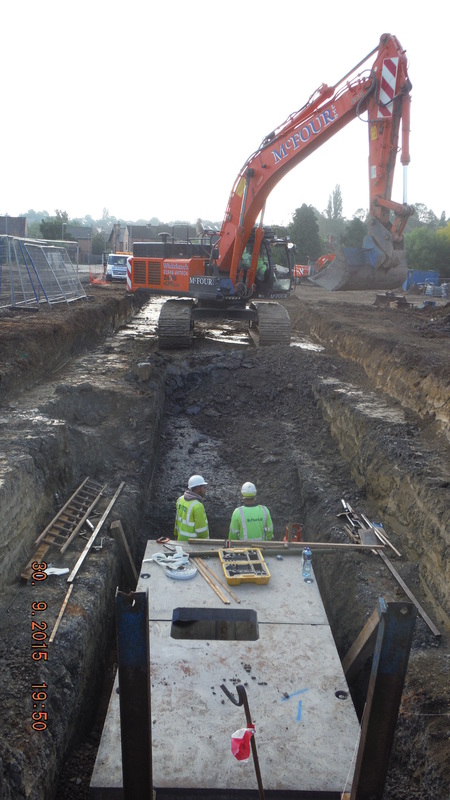 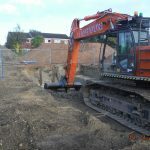 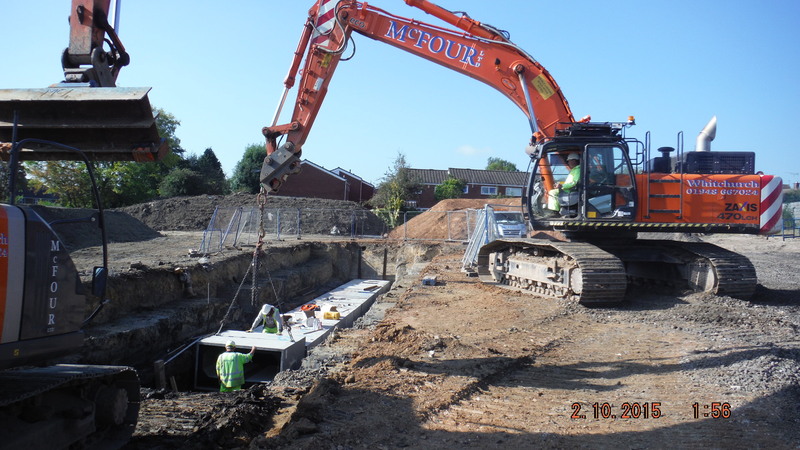 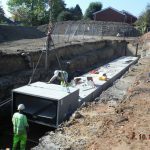 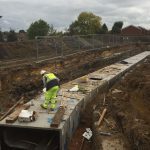 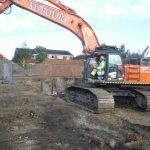 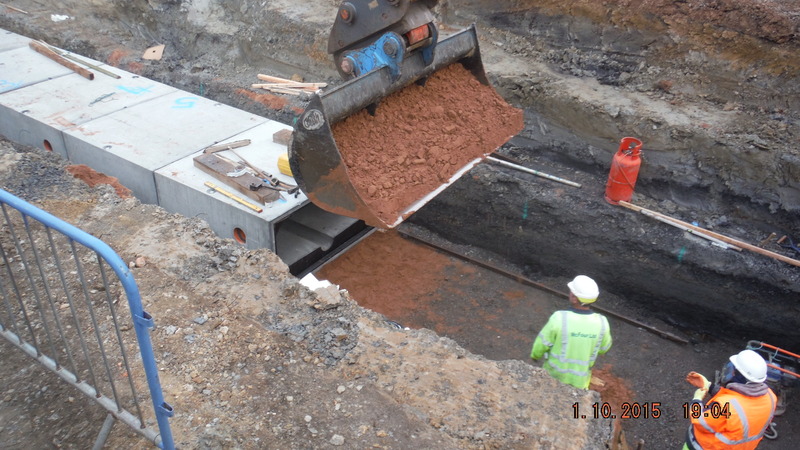 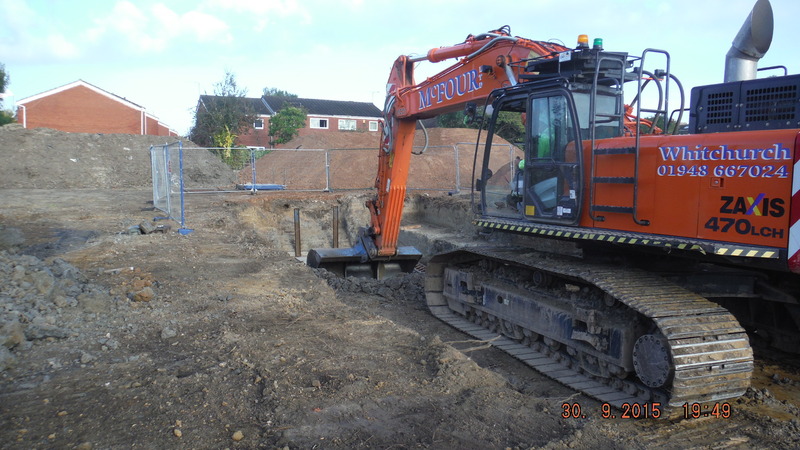 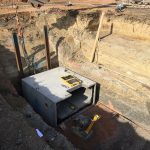 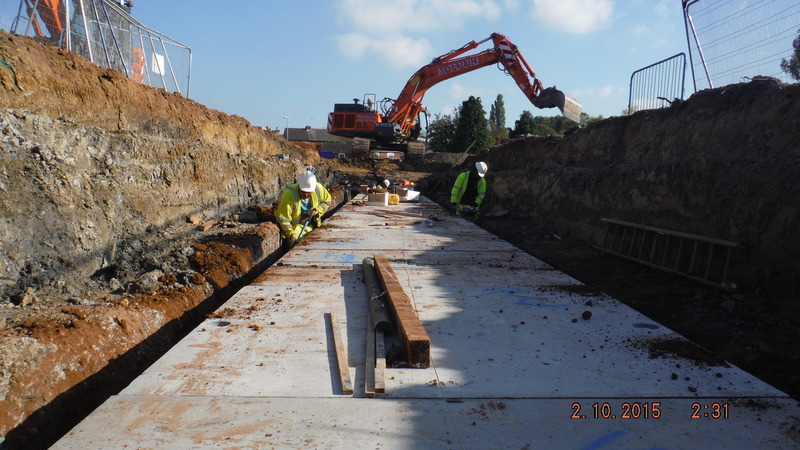 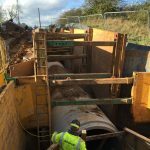 On this project McFour Ltd were employed as a specialist to deliver the installation of 2400mm x 1200mm box culverts as the storm water attenuation for a new housing development. 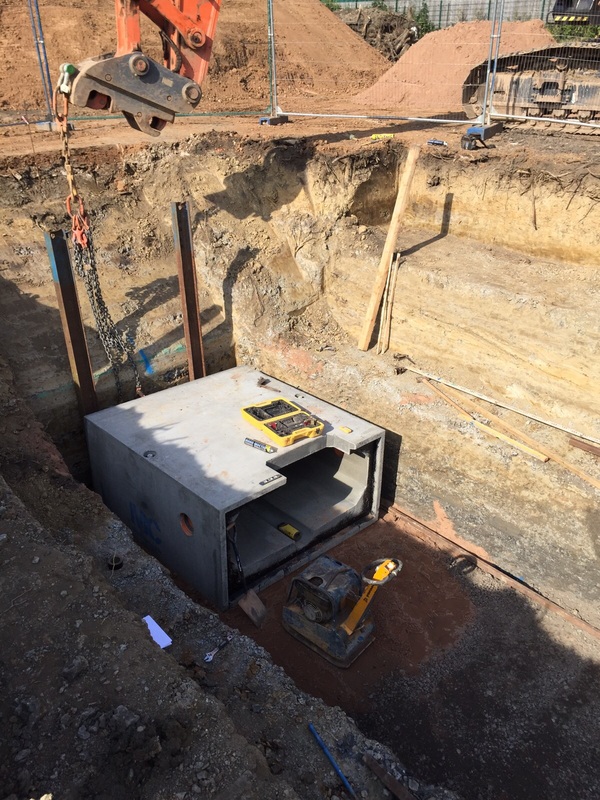 This was achieved with the use of our specialist gangs and excavators for the lifting in of the units which weighed approximately 7t each.